It’s no big secret that I have no filter what so ever. If I see something that catches my attention, I go for it. It’s the sort of thing that can land me reviewing the entirety of a comic universe or try to review all of Doctor Who. For those interested, I’m working on my retrospective of Patrick Troughton as we speak… or while I’m writing this and you eventually reading this. And this is kind of what’s happening here. I saw something interesting and decided to check it out further only to be intrigued and eventually giving in. And if this movie is anything to go by, I’m glad that I did. 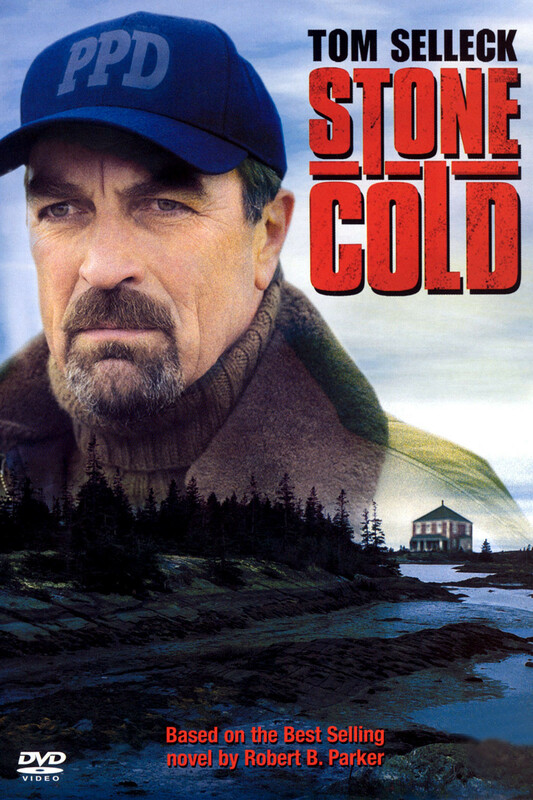 “Stone Cold” is the story of Paradise’s police chief Jesse Stone. Having struggled with his marriage and a drinking problem, he was let go from the police force in Los Angeles. Eventually he landed in the quiet east coast town of Paradise where things should be a lot simpler. Unfortunately, Jesse soon finds that even small towns have their dark sides. When a man is found murdered, the hunt for the killer is on but when more bodies begin to appear, it’s soon very clear that they have a serial killer on their hands. Or killers? And they seem to have a disturbing interest in the police chief himself. It’s the first in a series of eight movies based on Robert B. Parker’s series of books chronicling the life of none other than Jesse Stone. Although Parker passed away four years ago, the series is still being continued with another book coming out next year. Or so I’ve gathered, I’m not reading the books… yet. After all, gonna need a project once I’m done with Doctor Who! Playing Jesse Stone is none other than eighties action man Tom Selleck, now considerably more advanced in age since he did Magnum P.I. Although still sporting a dashing mustache, this is a considerably slower and better paced Selleck who has clearly learned a thing or two about acting. The older, slightly chubby police chief with a drinking problem is a million times more endearing than Thomas Magnum. He’s portrayed as a flawed but fair man who isn’t above bending the law just a little to see the culprits brought to justice. As such, don’t expect the movie to get bogged down by police procedure or reciting law. Stone interprets the law his own way at times and “CSI” this is not so don’t expect him to sit and examine bullets in hope of finding a fingerprint missed by the technicians. In fact, much of the writing skirts around this issue by simply showing the audience who the killers are early on and then having Stone catch up to what the audience already knows. Unfortunately, this means that there isn’t much in the way of a reveal but then the focus of the movie is not on the crime itself but rather on the people and lives it affects. And the characters are for the most part really well written. 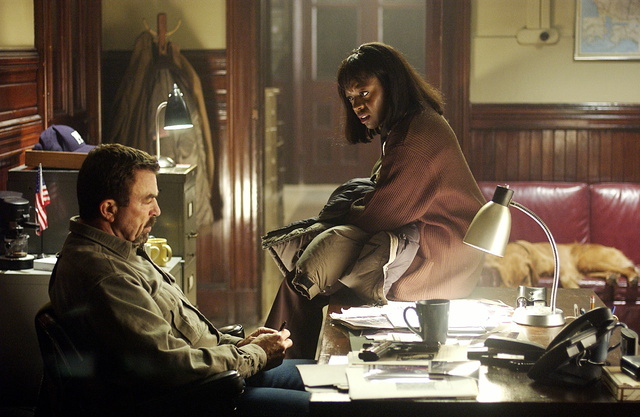 The dialog is witty and the banter between Tom Selleck and Viola Davis feels genuine, drawing quite a few chuckles from my cynical, black heart. If I have one complaint about the movie it’s that the second plot about a young girl who was raped by boys in her school is handled rather quickly and not given the weight it so desperately deserves. It acts both as a way to explore Jesse Stone and his fellow officers as characters but also show how powerless the law can sometimes be. Unfortunately, this is never really explored so unless they bring it back in later movies, it’s a grossly missed opportunity. It’s wrapped up far too quickly for my taste and become more a subplot than a secondary plot, only there to raise the stakes for the climax. But if we’re gonna sandwich the bad with the good then on a closing note I’d like to point out how absolutely gorgeous this movie is. It was very muted in terms of color, owing much to the time of year it’s set during, but with good use of lighting and camera work, the whole thing is lifted to another level. Directer Robert Harmon worked amazingly well with cinematographer Rene Ohashi to really make the scenes pop with life. This isn’t the type of movie you have to rush out to see but it’s a compelling little piece that actually surprised me in terms of quality. While the murder mystery itself falls a bit flat in the end, the characters introduced, clever writing and beautiful cinematography is enough to make me want to see more. Were the flaws the stumbling steps of the first movie or signs of bigger problems? I’ve got another seven movies to find out.